Try Something Different 1 May 2014 Cowslips and may blossom, dandelions and elderflowers are too good to leave in the hedgerow, says Paul Hughes. 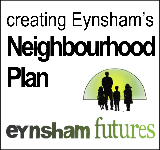 This is a fuller version of the feature published May 2014 in Eynsham News. Download the PDF below.